The Cleveland Browns last Sunday became the 18th team since 1970 (when the NFL merger took place) to lose their first 10 games of a season. They are the first team to do so since 2014 when the Oakland Raiders started that campaign 0-10. NFL fans will remember that two teams went winless in an NFL season since ’70: the 1976 Tampa Bay Bucs who were 0-14, and the 2008 Detroit Lions who finished their winless season 0-16. Could the Browns become the third team to join this hapless duo? Of the 19 teams that started 0-10, six franchises have done it two or more times: Indianapolis (three times), and Buffalo, Detroit, the Houston Oilers (now the Tennessee Titans), San Diego and Tampa Bay. Here’s a look at the 18 teams that started a season 0-10. As mentioned above, two teams that started 0-10 ended the season without a win. Of the other 15 teams prior to this season, the most wins in a season by a team that started 0-10 is three. The 1984 Oilers, 1986 Colts, 1993 Bengals , 1997 Colts and the 2014 Raiders each went 3-3 after losing their first 10 games in those seasons. The ’86 Colts actually won their last three games of that season. Also, of the 15 teams that won at least one game after starting 0-10, six won their first game of the year in their 11th game of the season, three won their first game in the 12th game of the season, two won their first game in the 13th game; three won in their 14th game, and one won in their 15th game of the season. 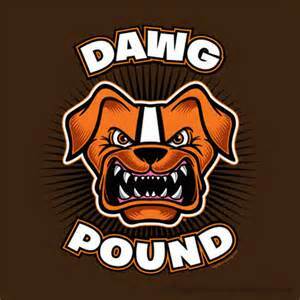 The 2016 Browns had four games decided by a eight points or less in their 10 losses to start the season. The 2001 Detroit Lions, however, top the list of these 0-10 teams when it comes to most losses by eight points or loss in their 0-10 start. The Lions lost seven of their 10 games by eight points or less that campaign.